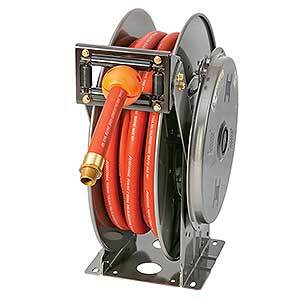 Hannay Reels are the industry standard for reliable and durable hose reels and cable reels. No one makes a better hose reel or cable reel than Hannay. Hannay Reels is the international leader in reel manufacturing as a fourth generation family owned and operated business. The company produces over 80,000 reels each year and has developed a strong reputation for manufacturing custom cable and hose reels while solving industry-wide problems over an 80-year span. Each reel Hannay manufactures is made custom to your specifications in the USA at their 200,000-square-foot manufacturing campus in Westerlo, New York. Hannay uses heavy-gauge steel to absorb the punishment delivered by the most demanding applications combined with their exclusive features to deliver a superior “buy it once” reel. 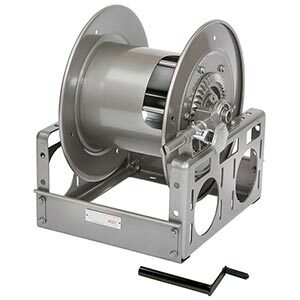 Their hose and cable reels feature self-aligning ball bearings, full-length welds, one-piece axle hub assemblies, rolling edges, and heavy-duty drums. HannayReelSales.com is your complete source for Hannay Reels. Our knowledgeable sales staff is here to help you find the right Hannay hose reel to fit the job. Contact us today at 727-835-0674 or Toll Free 800-761-4298. I.D: 1/2", 3/4", or 1"
I.D: 1/4", 3/8", or 1/2"
When it comes to fighting fires, safety and quick response time are critical. Hannay Fire Rescue Hose Reels make deployment and pickup times faster so you and your crew can work more effectively and efficiently when every second counts. That’s why Hannay Reels is the #1 reel company specified by firefighters worldwide, based on reel reliability, ease of use, and long life. 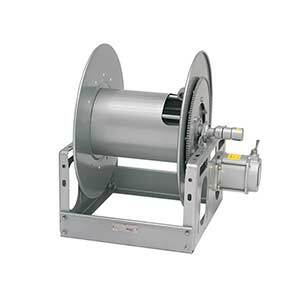 • All reels are built to order and most ship within a week. 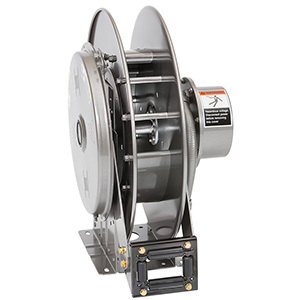 Hannay is one of the oldest and the leading manufacturer of durable hose and cable reels for both OEM and aftermarket applications, offering thousands of standard models along with a wide range of custom design capabilities. Hannay’s superior manufacturing techniques, consistent quality, outstanding service and unmatched value produce the most dependable, best-engineered reels in the business. This formula has solidified Hannay’s reputation for helping companies around the world improve the production, efficiency and safety of their operations since 1933. Once you experience Hannay's hose and cable reels, you’ll see why there are more than two million of them hard at work around the world today. Anyone can make a hose or cable reel, but nobody does it like Hannay! At mdi, we understand that having someone on the other end of the phone who knows what you’re talking about can make all the difference. That’s why our sales staff is knowledgeable, passionate, and highly trained to help you find the right reel for your needs. We pride ourselves on our working knowledge of the products we sell, participating in training sessions and hands-on product demonstrations whenever possible. 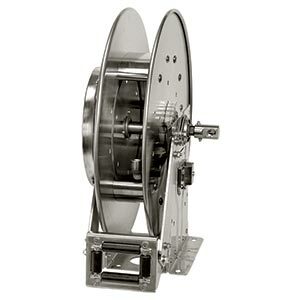 For the best customer service experience in buying a Hannay reel, call mdi! Hannay offers hose and cable reel packages that include the hose or cable and hose stop installed. Call mdi at 727-835-0674 for more information on Hannay Reel Packages. Thanks to you and your team with the endeavor of getting me what I requested to place this order, and working with me on the quote. It is diligence such as this that want customers to come back to certain vendors. Please pass my appreciation on to your superiors. Thanks again! Thank you so much for all your support and help with this order. You are very professional and understanding to the customer’s needs. I will recommend your company and we will use your company as our needs arise, thanks to you. Just wanted to let you know we got the screens today and they are perfect! Thanks for the excellent customer service on getting these for us! Thank you and your team for an awesome job. I really do appreciate it.